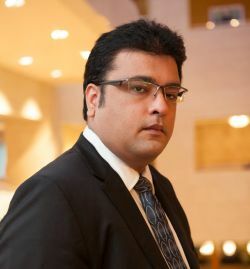 Caption: STA Senior Partner, Sunil Thacker – says hospitals and clinics are advised to take a long and hard look at the new law. UAE hospitals and clinics have been warned to do a thorough check-up of the new law which protects consumers from healthcare scams before using social media to stand out in the increasingly competitive market. Sunil Thacker, Senior Partner at STA Law Firm, believes some healthcare establishments could be forced out of business through not paying proper attention to the Federal National Council law passed in October. “The healthcare industry has become enormously competitive, as witnessed by the volume of activity on social media, SMS campaigns and other forms of advertising and promotion by hospitals and clinics that we see today,” said Thacker. The new law requires all healthcare establishments to obtain permits issued by the Ministry of Health and Prevention (MOHAP) before promoting advertisements on social media platforms. It follows an increase in the number of complaints about medical procedures and unethical advertisements posted online, some falsely claiming endorsement by celebrities like Kim Kardashian. Those failing to obtain the necessary permits will face fines of up to one million dirhams, as well as the suspension of their medical license for a period of six months. The website carrying the advertisement may also be blocked. Healthcare bodies must register online in the MOHAP advertising licensing services programme and submit advertisements for approval, a process normally taking one to three working days. Advertisements posted on social media without permits will attract fines ranging from AED1,000 to 1,000,000. For non-permitted ads published online and on social media, fines range from AED100,000 to 200,000. The law also brings penalties for confidential patient data published online without prior consent, including videos and images of medical procedures.